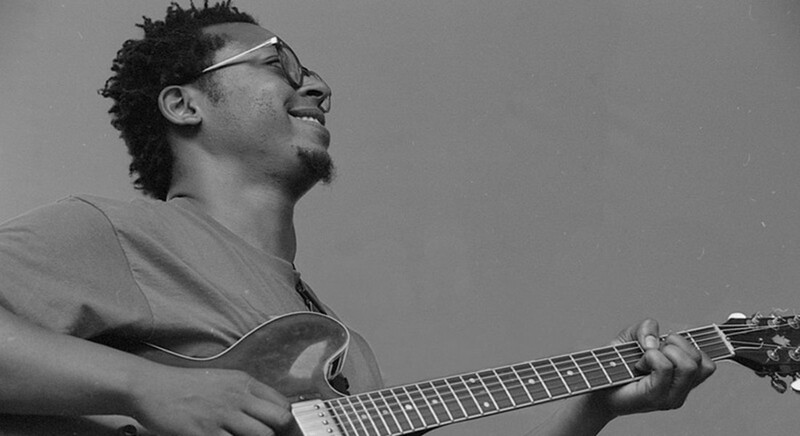 When guitarist Kurt Rosenwinkel dropped his 2003 album Heartcore—a collaboration with Q-Tip of A Tribe Called Quest—I remember being unimpressed, so I was surprised when Jeff Parker expressed admiration for it. Himself a guitarist, Parker has long tinkered at home with the sort of electronic beats and samples that fill Rosenwinkel’s fluid, chill effort, but by and large he kept the experiments to himself. He finally started sharing earlier this year with the release of New Breed (International Anthem), the first record he’s made with a group of Los Angeles musicians since moving there from Chicago a few years ago. Despite their similar general methodology, it actually doesn’t sound anything like Rosenwinkel’s effort. Parker’s music is raw and off-center, delivering a consistent tension between looped beats and electronic patterns and the lax grooves sculpted by his limber band: drummer Jamire Williams, bassist Paul Bryan, and saxophonist and fellow Chicago expat Josh Johnson. As usual, Parker’s lovely melodies are quietly insinuating, snaking into the memory with beguiling ease while generating a rhythmic and harmonic friction that keeps things taut and surprising. The band embraces various strains of dissonance—the descending melodic shapes in “Here Comes Ezra” collide in a sudden surge of disparate lines, while the patient line in “Visions” seems perpetually on the verge of becoming disconnected from the dragging groove. For its Chicago debut the group will be joined by local reedist Dustin Laurenzi and Parker’s teenage daughter, Ruby, who delivers the melody of “Cliché” with impressive confidence.